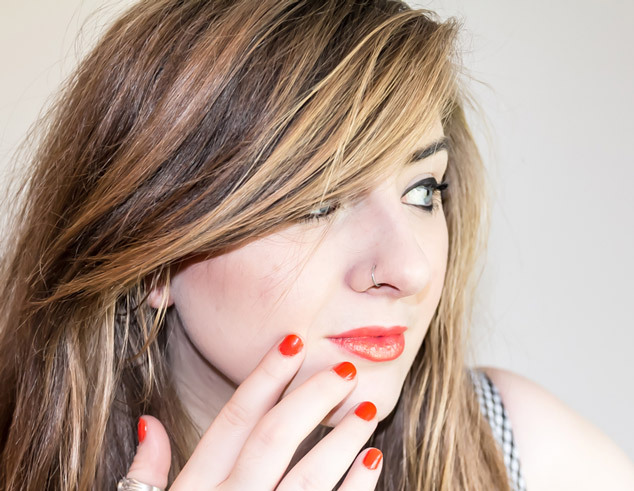 The newest beauty trend we have seen this season is the introduction of orange makeup. 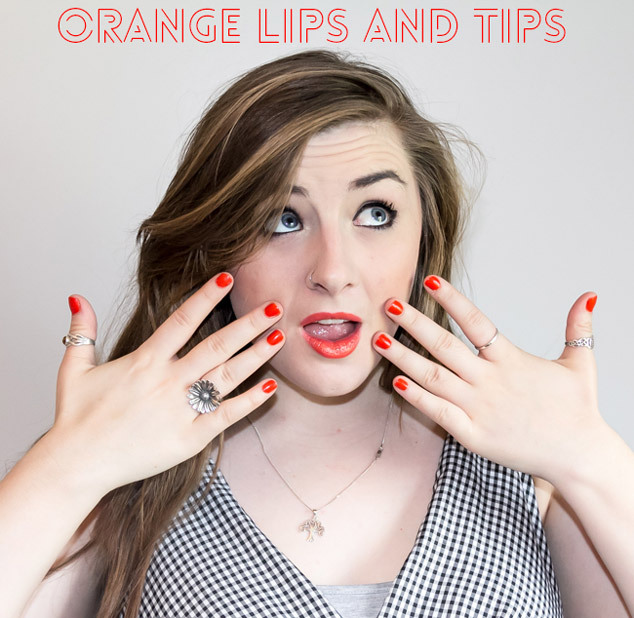 The amount of orange lipstick spotted on the runways at Spring Fashion Week 2014 has brought orange to our attention coming into summer. Whether you choose an electric neon shade, a more natural, softer apricot shade or an orange-red shade this colour will suit all and create an eye catching look. I’ve never been a fan of or gone out of my way to buy celebrity named makeup (Why do ID have a makeup range?!) 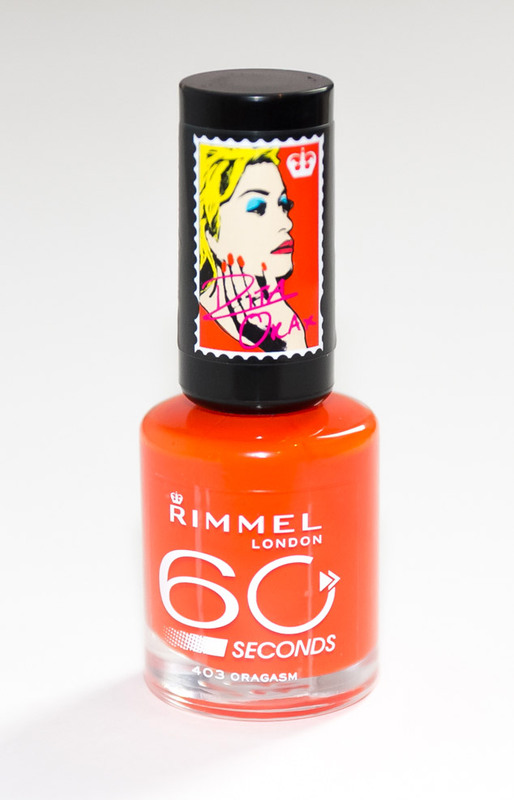 but Rimmel’s nail varnish by Rita Ora has some amazing shades. 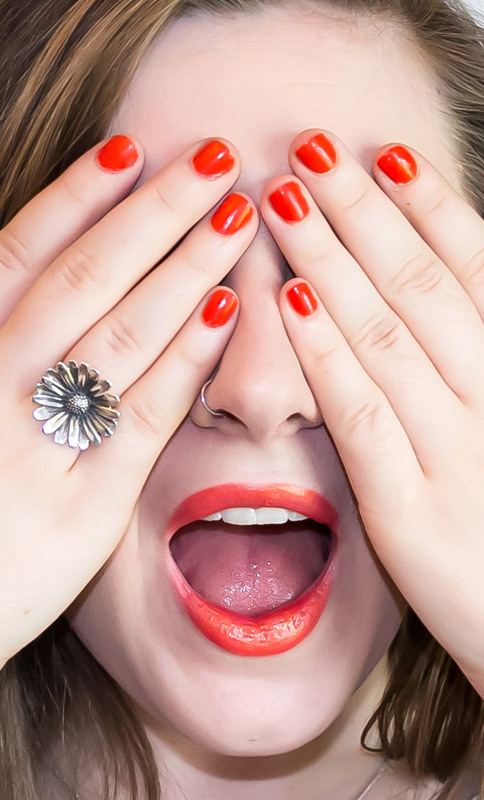 Walking past the orange ‘Oragasm’ nail varnish stood out as a fantastic orange nail shade. Orange is much neglected in the nail varnish world, I own 1 Barry M orange that admittedly I bought for nail art for Halloween and Snowmen noses rather than to wear in full. It’s a shocking shade but if you are after dramatic nails this is perfect, it can always be toned down by painting your nails white with only a few painted with colour. 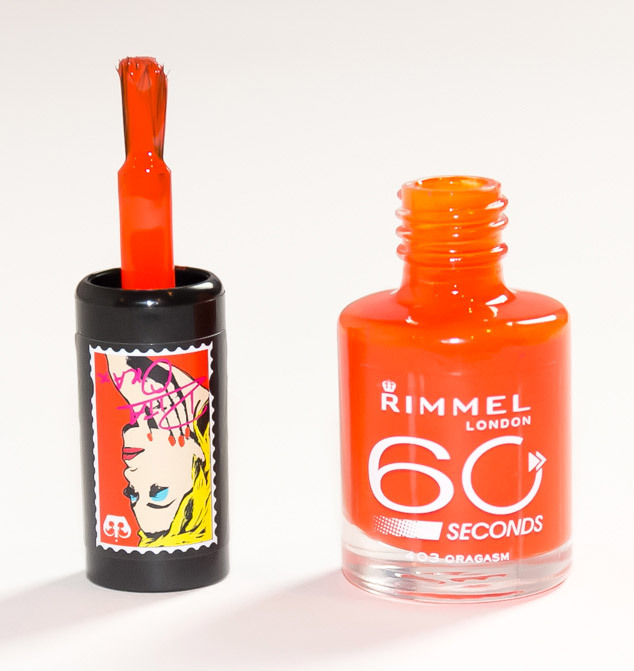 I love the Rimmel Nail Varnish colour but wasn’t impressed with the brush. It’s been a while since I bought their polish but I didn’t remember the brush being like this. It was too big, the bristle were a bit fly away and brittle and painting my nails neatly was quite hard. It gave a smooth finish but I’m used to thinner nail polish brushes. At Superdrug Rimmel have a buy one get the second half price deal so I also looked for an orange lipstick. 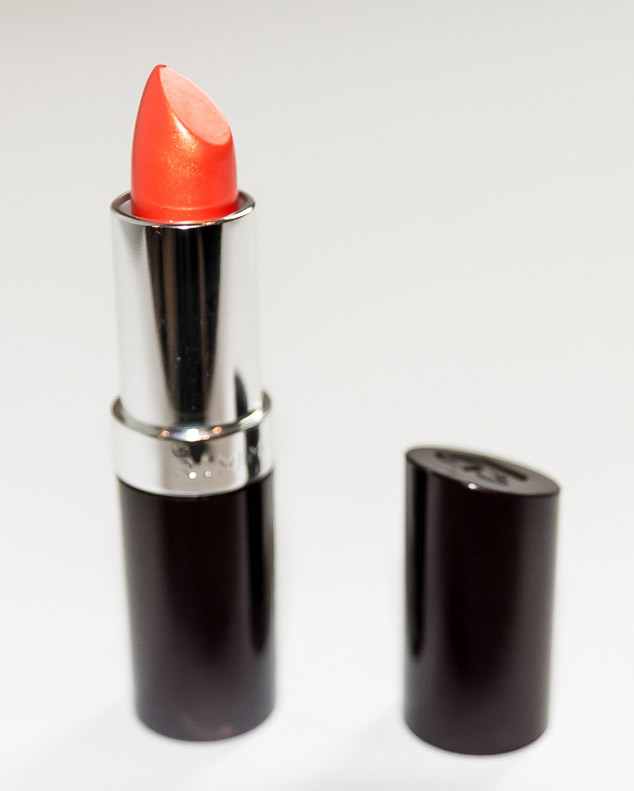 I found the high impact Coral in Gold Shade. It looked a lot paler before applying and has a nice shimmer to it. 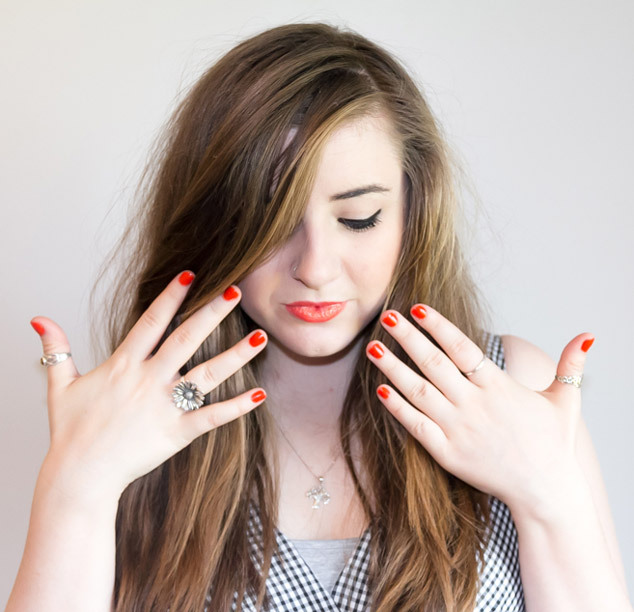 I loved wearing orange lipstick, its never something that I would have considered suiting me, but it perfectly matched my nails! Are you an Orange lover? Next Post Blog themes – What’s right for you?